PBS President and CEO Paula Kerger shares her thoughts on what the PBS Foundation means to the future of public broadcasting. 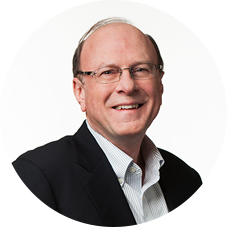 Donald A. Baer joined the Foundation’s board in 2008. Baer is Chairman of the strategic communications firm Burson Cohn & Wolfe, which is owned by WPP, a leading holding company in advertising, marketing and communications services. From 2012 - 18, he was Worldwide Chair and CEO of the predecessor firm Burson-Marsteller and, starting in 2008, was Vice Chair and a member of the firm’s senior leadership. He has led client engagements in every sector and part of the world, especially for top technology, communications, media, consulting and financial services businesses. Baer’s career has placed him in leading roles as a media and communications executive for a wide range of important business, government, and non-profit organizations. From 1998 to 2007 he helped lead the global media company Discovery Communications. Prior to that, he was a senior adviser to President Bill Clinton. As Clinton’s chief speechwriter, and, subsequently, as White House Director of Strategic Planning and Communications, he was involved in the development of many major Presidential addresses, including every State of the Union Address from 1995 to 2000. From 1985 to 1993, Baer worked as a journalist, covering politics and the White House for U.S. News and World Report, and, as one of the magazine’s assistant managing editors, overseeing national and international coverage. 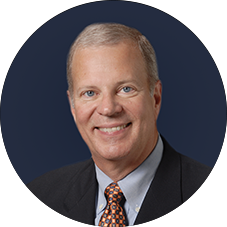 In the 1980s, he specialized in media law with the New York firm Patterson, Belknap, Webb & Tyler. Baer received his B.A. from The University of North Carolina at Chapel Hill (Phi Beta Kappa) and holds a Master's in International Relations from the London School of Economics and Political Science, as well as a J.D. from the University of Virginia School of Law. In 2013 he was inducted into the North Carolina Journalism and Communications Hall of Fame. 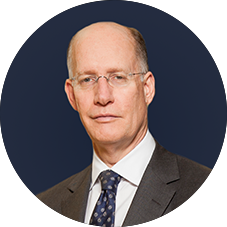 He lives with his wife, Nancy Bard, and two sons in Washington, D.C.
An investment manager with vast entrepreneurial expertise, Fred Berens is currently Managing Director-Investments in the Miami office of Wells Fargo Advisors. He is also a former member of the board of directors of Elizabeth Arden, Inc., and was one of the founders of FFI Fragrances, which acquired the Elizabeth Arden brand from Unilever in 2001. Berens is a longstanding member, and a former chairman, of the board of directors of the Community Television Foundation of South Florida, Inc., which holds the license for PBS member station WPBT in Miami-Fort Lauderdale. He played a leading role in creating the station’s endowment under the auspices of the WPBT Communications Foundation, Inc. (WCFI), which he chaired for 25 years. He has also served on the board of the Carnival Performing Arts Center Foundation (now the Adrienne Arsht Center for the Performing Arts of Miami-Dade County) and is a member of the Dade County Health Facilities Authority and a senior member of the Orange Bowl Committee. Berens holds a BBA in Economics and an MBA in Finance from the University of Miami, and sits on the university’s Board of Trustees. He served on the PBS board of directors from 2007 to 2013, and joined the board of the PBS Foundation in 2014. Afsaneh Beschloss is Founder and CEO of Rock Creek, a global investment and advisory firm. 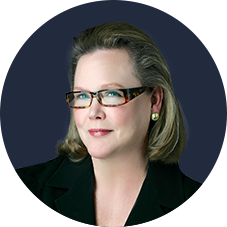 Previously, she was Managing Director and Partner at the Carlyle Group. Prior to that, she was Treasurer and Chief Investment Officer of the World Bank, where she was responsible for the investment of the World Bank’s assets as well as external assets from the IMF, central banks, and sovereign funds. Prior to her service at the World Bank, Beschloss worked with J.P. Morgan in New York and London. In various capacities during her career she has provided financial policy to central banks, finance ministries, sovereign funds, private financial institutions and regulatory agencies. Beschloss joined the board of the PBS Foundation in 2016, and has served as a member of the PBS board of directors since 2012. In addition, she has served on the boards of the Institute for Advanced Study, the American Red Cross, the Urban Institute, the World Resources Institute (as Chair of its Global Advisory Council), the World Wide Web Foundation (as Board Chair), and the Visiting Committee at the Center for Development Economics at Williams College. Beschloss holds an MPhil (Honors) in Economics from the University of Oxford, where she taught international trade and economic development. She is the co-author of The Economics of Natural Gas (Oxford) and author of numerous journal articles on energy policy. She has received the Robert F. Kennedy Ripple of Hope Award, has been recognized as one of American Bankers “Most Powerful Women in Banking,” and was a recipient of the 100 Women in Hedge Fund Leadership Award. 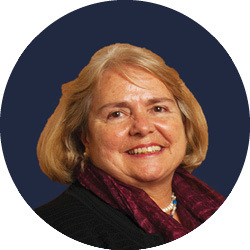 Mary G. F. Bitterman is President of The Bernard Osher Foundation, a philanthropic organization headquartered in San Francisco that supports higher education and the arts. She joined the board of the PBS Foundation in 2005 and has served as its chairman since 2009. From 2002 to 2004, Bitterman was President and CEO of The James Irvine Foundation, and from 1993 to 2002 she served as President and CEO of KQED, the primary PBS affiliate in the San Francisco Bay Area. In addition, she has served as Executive Director of the Hawaii Public Broadcasting Authority, Director of the Voice of America, Director of the Hawaii State Department of Commerce and Consumer Affairs, and Director of the East-West Center's Institute of Culture and Communication. She has produced several documentaries for public television and has written on telecommunications development and the role of media in developing societies. Bitterman became a member of the board of PBS in 2002 and served as its chairman from 2005 to 2007. She currently serves as a director of the Bank of Hawaii, the Bay Area Council Economic Institute, the Commonwealth Club of California, and the Hawaii Community Foundation, and is a member of the Advisory Council of the Stanford Institute for Economic Policy Research, the Public Policy Institute of California, and Pacific Forum/CSIS. A recipient of The Ralph Lowell Award, Bitterman is an honorary member of the National Presswomen's Federation and a Fellow of the National Academy of Public Administration. She received her B.A. from Santa Clara University and her M.A. and Ph.D. in Modern European History from Bryn Mawr College. Wendy Dayton is the President of the Douglas & Wendy Dayton Foundation, a trustee of the Minneapolis Institute of Art, The Smithsonian and Twin Cities Public Television. She has just become Honorary Chair of the new $175 million capital campaign for the YMCA in Minnesota. She is also very involved with the national organization of Compassion and Options (helping people to gain more support for life-end medical choices). Prior to becoming involved in full-time philanthropic work, Dayton had a distinguished career in retail and the fashion industry, culminating in positions as a vice president of Liz Claiborne, Inc., and as vice president at Robert Terry in New York, with responsibilities for marketing, merchandising, design and production of high-end women’s apparel. Dayton was a co-founder of the retail chain Pinstripes Petites and began her career as a buyer for the Minneapolis-based Dayton’s department store chain. Dayton’s lifelong commitment to the performing arts started in high school when she volunteered for three summers at the newly opened Guthrie Theater in Minneapolis. In addition to being a leading supporter of the arts in the Twin Cities, she has also served on the board of the University of Minnesota Medical Foundation and on the Minnesota State Arts Board and The Cowles Center for Dance and the Performing Arts, Artspace as well as another 20 organizations which she has served in the community in the areas of social services, nature conservancy, women's advocacy and education. Dayton joined the board of the PBS Foundation in 2014. John Domaschko joined the board of the PBS Foundation in 2012. 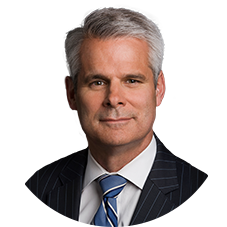 His business experience includes management consulting for growing companies, contract negotiation, acquisition of financing and government sponsored tax incentives, business plan development, capital acquisition and entrepreneurial problem-solving. In 1991, Domaschko started the consulting firm MC Squared, Inc., to provide business consulting services for companies ranging from start-up endeavors to publicly owned corporations. Following his retirement from MC Squared, he accepted a seat on the PBS Board of Directors, serving as General Vice-Chair from 2009 to 2011. Domaschko is a former Chairman of the Kentucky Authority for Educational Television, the KET Foundation, the Kenton County Airport Board (which operates the Cincinnati/ Northern Kentucky International Airport), St. Elizabeth Healthcare, and the St. Elizabeth Medical Center Foundation. A graduate of the University of Cincinnati with degrees in Economics and Accounting, he co-founded and is currently the president of Suits That Rock, LLC, an organization that gathers community leaders with rock music backgrounds to perform for the benefit of regional charitable organizations. 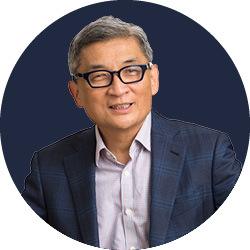 Bill Imada is founder, chairman and chief connectivity officer of IW Group, a minority- owned and operated advertising, marketing and communications agency focusing on the growing multicultural markets. For more than 20 years, he has worked with many of the top companies in the U.S., including American Airlines, City of Hope, Coca-Cola, General Motors, Godiva Chocolatier, HBO, Lexus, McDonald’s, Southern California Edison, Verizon, Walmart Stores, Walt Disney Imagineering, and Warner Bros. Pictures. His areas of expertise include advertising, branding, multicultural communications, marketing, crisis management, and public relations. Imada lives in Los Angeles, CA and is active in the community and serves on several boards and advisory councils. His board service includes the Advertising Educational Foundation, California Asian Pacific Chamber of Commerce, Center for Asian American Media, and the LAGRANT Foundation. Imada also co-founded the Asian & Pacific Islander American Scholarship Fund (APIASF) and established the Asian/Pacific Islander American Chamber of Commerce & Entrepreneurship (ACE), an organization based in Washington, D.C. His efforts have been recognized by The White House, and he was invited to meet President Obama with 12 other Asian/Pacific Islander American leaders. Imada was later appointed to the President’s Advisory Commission on Asian Americans and Pacific Islanders. Imada co-founded the National Millennial Community, an organization consisting of NextGen leaders from 27 states and the District of Columbia whose mission is to break the negative stereotypes that often define millennials in the U.S.
Susan Jacobson is President of Jacobson Strategic Communications, a public relations and public affairs company based in Philadelphia. The firm, founded in 2010, provides specialized, targeted communications services to prominent local and national clients including the Philadelphia Eagles and the University of Pennsylvania. Before opening her own company, Jacobson served for ten years in the Harrisburg office of Tierney Communications. During that time she managed Tierney’s programs for Pennsylvania Tourism and Economic Development, Pennsylvania Workforce Development, PennDOT, and the Jack Welch Management Institute. Jacobson served as deputy chief of staff to Philadelphia mayor Ed Rendell from 1996 to 2000; she also played a senior role in his two gubernatorial election campaigns. 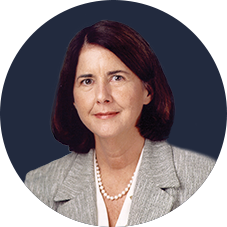 Her prior work experience includes a stint as associate secretary of the University of Pennsylvania (1991-96) and as chief of staff to the first lady of Massachusetts during the administration of Governor Michael S. Dukakis (1986-87). Jacobson, who joined the board of the PBS Foundation in 2016, is also a member of the executive board of Settlement Music School, the largest community school of the arts in the country. She received her BA from Connecticut College in 1982 and an MBA from Suffolk University School of Management in 1984. In the past year, PBS and its producing partners have been recognized with several prestigious honors, including seven Peabody Awards, four Alfred I. duPont-Columbia University Awards and seven News & Documentary Emmy Awards — more than any other organization. David Weaver founded BW Energy in 1997 and WebGen Systems in 2000 to address the business and social costs of energy consumption in office buildings. Today, his Boston and Miami-based company, Intercap Energy Systems, offers energy consulting services combined with patented energy optimization and control software to large consumers of energy, including universities, corporate campuses, hospitals, and airports. Weaver has been a member of the board of the University of Miami for 31 years. 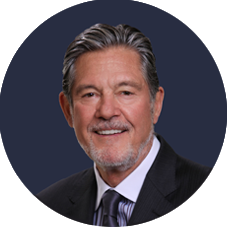 Currently a Senior Trustee of the University, he has served as Co-Chair of the Campaign for the University of Miami, Chairman of the Finance Committee, Vice Chairman of the Board, and Chairman of the University ’s Asset Management Corporation. He is currently Chairman of the Campaign for the Frost School of Music and Chairman of the Frost School’s Visiting Committee. Until February of 2015, Weaver was Chairman of the University of California’s Institute of the Americas. 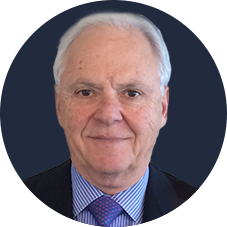 As its Chairman Emeritus he remains active in the Institute’s programs and relationships throughout Latin America. He is a member of the Council on Foreign Relations and has served on the board of the Nitze School for Advanced International Studies (SAIS) at Johns Hopkins University. 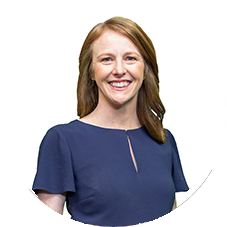 Weaver is a graduate of Andover and holds a bachelor’s degree from Harvard College and a master ’s from Harvard Business School. He and his wife Dorothy have two children and five grandchildren and reside in Miami, Boston, and Maine. Allan Landon is the Assistant Dean and Adjunct Professor, David Eccles School of Business, University of Utah. Landon teaches business leadership and banking courses and helps develop experiential learning programs at the David Eccles School of Business. He also directs the Utah Center for Financial Services. Landon is a Director of State Farm Mutual Insurance and State Farm Bank in Bloomington, Illinois. Landon finished his work in 2010 as Chairman and CEO of Bank of Hawaii, based in Honolulu. Bank of Hawaii, noted for its solid financial results and community service, was Forbes Magazine’s “Best Bank in America” in 2009 and 2010. Before joining Bank of Hawaii, Landon was CFO of First American Bank in Nashville. Earlier he was a CPA and Partner with EY, specialized in serving community and regional banks and other financial institutions. Landon is a Vice Chair of the National Board of the Smithsonian Institution and a Director of PBS, both in Washington, D.C. In Utah, Al serves on the boards of Eccles School of Business and the Utah Museum of Fine Arts. Previously Landon served as Chairman of the Board of Regents of the University of Hawaii and HMSA, Hawaii’s Blue Cross/Blue Shield provider. 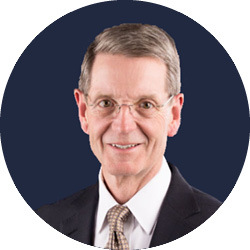 Landon served as a director of MidFirst Bank, the Federal Home Loan Bank of Seattle and several other organizations. In 2015, he was nominated to serve on the Board of Governors of the Federal Reserve. Landon is a graduate of Iowa State University. He and his wife Sue reside in Millcreek, Utah. They have two adult children and five grandchildren. Susan Marcus has 40 years’ experience as a designer, educator, and creator of programs, products, and exhibitions for children, their parents, and educators. In 1970 she co-founded the Learning About Learning Educational Foundation, a nationally recognized organization based in San Antonio with a focus on research into creativity, individuality, media, and play. While engaged there, Marcus developed “Imagination Works,” a retail line of interactive educational products. Marcus lived and worked independently in New York City for more than a decade, consulting on projects involving the education programs of major museums and publishers. Her clients included The Metropolitan Museum of Art, The Museum of Modern Art, Whitney Museum of American Art, and the Scholastic Corporation. In 2007, Marcus designed a summer program for Texas museums called “New World Kids,” which has grown into a year-round after-school program in creative thinking and literacy for young people. Three years later she established a non-profit organization in Austin called The Foundry. Both programs are ongoing and serve thousands of young children in Texas. Books have been another interest. As designer and co-author, Marcus has been involved in the creation of: I See a Child (Doubleday, 1974); Everychild’s Everyday (Doubleday, 1980); When I Was Just Your Age: An Oral History of Growing Up in Texas (UNT Press, 1992); and The Missing Alphabet: A Parents’ Guide to Developing Creative Thinking in Kids (Greenleaf Press, 2013). Marcus holds a BFA from Southern Methodist University. As Houston Public Media’s associate vice president and general manager, Lisa Trapani Shumate oversees the strategic direction and operation of the company, which includes TV 8, the nation’s first educational television station, and two radio stations: KUHF News 88.7, and 88.7 HD-2, a high-definition station devoted to classical programming. She is also the executive director of the Houston Public Media Foundation, which provides financial support to those stations. Prior to joining Houston Public Media in 2011, Trapani Shumate held management positions at commercial stations KHOU 11 (TEGNA/CBS) and KTRK/ABC 13 (Disney), both in Houston. During her tenure at Houston Public Media she has increased local content on all platforms and upgraded technology infrastructure and transmission. She has also led national, state and local collaboration opportunities, strengthening relationships with other public media stations, national programming partners, elected officials, educational institutions, community leaders, and business groups. Among these relationships has been the one between Houston Public Media, the Department of Homeland Security, and various national partners – NPR, PBS, APTS, and CPB – to support Houston-area first responders with vital communications assets through datacasting technology. Trapani Shumate currently serves on the boards of PBS, the Public Television Major Market Station group, and American Public Television. 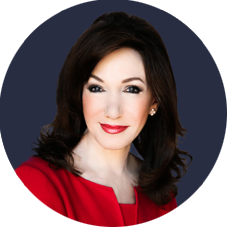 She is a member of the Greater Houston Partnership’s Executive Women’s Partnership, and has been the recipient of numerous regional and national awards for her involvement in the community. A native of Louisiana, Trapani Shumate holds a B.A. in Communications from Loyola University and an MBA from the University of Houston. 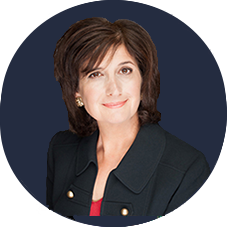 Laurie Silvers has had a distinguished career as a media entrepreneur and is co-chair of the board of directors of South Florida PBS, the seventh largest public broadcasting station in the country. Silvers co-founded the Sci-Fi Channel (today known as Syfy) and served as its CEO from 1988 to 1992, continuing as its co-vice chairman until 1994. She is the owner of Home Town Cable Plus, a telecommunications system based in Port St. Lucie, Florida, and of Treasure and Space Coast Broadcasting, which operates five radio stations on Florida’s Treasure Coast. 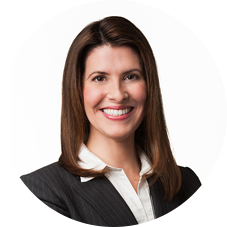 Prior to beginning her work in media, Silvers practiced law for more than 10 years in South Florida. 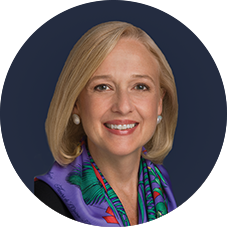 She and her husband, Mitchell Rubenstein, fund the Hope Scholars at the University of Miami School of Law, as well as the Silvers-Rubenstein Distinguished Professor Chair at that school. They are the name donors of the Laurie Silvers-Mitchell Rubenstein Hall classroom building at the University of Miami School of Law. Silvers is vice-chair of the board of directors of the Kravis Center for the Performing Arts in West Palm Beach and chair of its development committee. She is also a member of the board of directors for the Town of Palm Beach United Way. Camilla Smith joined the board of the PBS Foundation in 2018. Smith is an accomplished writer and editor with publishing experience from G.P. Putnam’s Sons publishers and Columbia University’s Teacher’s College Press. Smith also worked for the New York City Board of Education and the Japanese American Citizen’s League. Smith is President of the Leakey Foundation, Vice President and Trustee of the National Public Radio Foundation, Trustee of Teachers College Columbia University, San Francisco Performances, and on the boards of the Interfaith Center at the Presidio, KQED Public Radio and Television, San Francisco Conservatory of Music, San Francisco State University Foundation, Science Friday Initiative, the University of California Berkeley Library. She is also on the Science Visiting Council for NOVA at WGBH. She is on the advisory Board of the Smithsonian National Museum of Natural History. Smith received a certificate from the University of Grenoble, France, a bachelor’s degree at Brigham Young University, and a master’s degree in Education at Columbia University. Theodore W. Libbey, Jr. joined the PBS Foundation in 2010 after serving eight years as director of Media Arts at the National Endowment for the Arts. His portfolio includes writing, editing and research, grants management, and external communications. 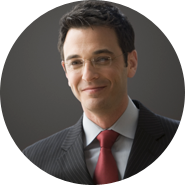 He is also involved in the development of PBS’ broadcast and web-based arts programming. For 15 years Ted was a regular commentator on NPR’s Performance Today. Prior to that, he served as an editor at High Fidelity and Musical America magazines and as a music critic for The New York Times. He is the author of several books, including The NPR Guide to Building a Classical CD Collection and The NPR Listener’s Encyclopedia of Classical Music as well as histories of the National Symphony Orchestra and Carnegie Hall. Ted majored in History, the Arts, and Letters at Yale and did his doctoral work in musicology at Stanford. He and his wife Janet live in Rockville, Maryland. Idalia Ramos became Deputy Director of the PBS Foundation in December 2018. She is responsible for managing the administration, communications, research, and stewardship of the Foundation. Previously, Ramos served as Chief Operating Officer of the American Psychological Foundation, part of the American Psychological Association, in Washington, DC. There she directed the financial operations, administration, grantmaking, grant evaluation, and communications. Prior to assuming the COO role in 2012, Idalia had also served as its Assistant Director, Program Director, and Program Officer. 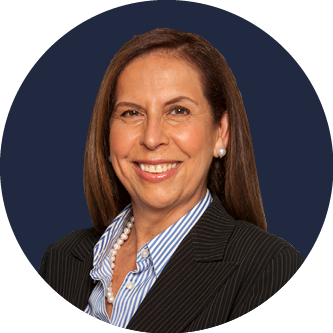 Prior to joining the American Psychological Foundation in 2005, Idalia held various roles at Grantmakers for Effective Organizations. Carrie Scott joined the PBS Foundation in 2016 as Senior Director, Principal Gifts. Based in Los Angeles, she is responsible for raising funds in support of the work and mission of both the PBS Foundation and PBS SoCal. Prior to joining PBS, Carrie was Senior Director, Advancement at the Greater Los Angeles Zoo Association, where she was responsible for advancing the major and planned giving programs. From 2005 to 2014, she was Director of Development, Western Region, for NPR. While in that position, she initiated and advanced a collaborative major gifts program for NPR and member stations that increased the base of support for public radio. Carrie began her career working in major gifts at the Los Angeles Opera. Carrie attended Lindenwood University in her home town of St. Charles, Missouri, and currently lives in Los Angeles with her husband and two sons. 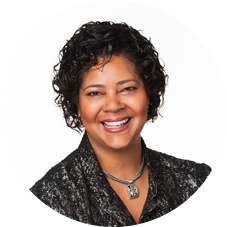 Karen E. Avery joined the PBS Foundation in 2011 and is Senior Director of Institutional Giving. In this role, she is responsible for increasing support from the foundation and corporate sectors for PBS priorities and programs. Before coming to PBS, Karen spent seven years as Director of Foundation Relations at the Smithsonian Institution, serving as Chairperson of the Smithsonian Early Enrichment Center Board of Directors for three of those years. Prior to that she was Assistant Dean of Harvard College, and also worked for many years as a Senior Admissions Officer at Harvard. Karen received her M.Ed. from the Harvard Graduate School of Education with a concentration in administration, planning and social policy, and her A.B. from Harvard as a major in psychology and social relations. 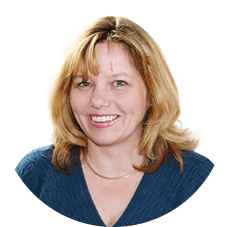 She currently serves on the Wolf Trap Associates board of directors and resides in Alexandria, Virginia with her husband, two kids, and one crazy dog. Anarosa G. Rohan came to the PBS Foundation in 2013 and serves as its Director of Institutional Giving. She is responsible for developing partnerships with corporations and foundations that help PBS and its member stations fulfill their mission as America’s largest classroom. Prior to joining PBS, Anarosa was director of Cause Partnerships at the National 4-H Council, where she led 4-H’s national marketing strategy to raise funds and visibility for county, state, and national 4-H youth development programs. During her seven years at 4-H, she created multi-faceted partnerships with Fortune 500 companies and launched 4-H’s first national paper icon/pin up campaign. From 2004 to 2006, Anarosa served as Corporate and Foundation Relations Analyst at the National Parks Conservation Association. She began her career working in the Miami offices of Edelman, the world’s largest independent PR firm. Anarosa attended the University of Florida and lives in Northern Virginia with her husband, daughter, and playful boxer. Tia works to provide capacity-building support to PBS member station development teams that are committed to strengthening their planned giving performance. 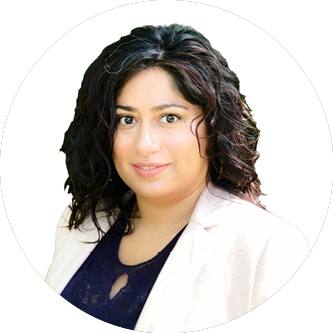 She has participated in fundraising leadership for 13 years in a variety of fields including higher-education, community philanthropy, and medical research. Prior to entering the non-profit arena, with National Public Radio, Tia worked as an estate planning attorney and financial reporting accountant. She has made use of her experience in those areas to help PBS and its member stations not only to become more sustainable, but to develop transformational relationships with the communities they serve and the numerous individuals within those communities who care deeply about the future of public broadcasting. Tia, who has worked at PBS since 2013, joined the staff of the Foundation in 2017. She lives in New Jersey with her family. 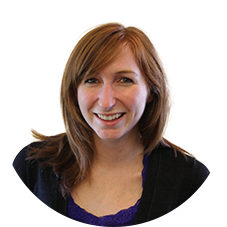 Jennie Adler joined the PBS Foundation in 2015 as its Development Coordinator. She now provides essential support for the Foundation’s operations and Strategic Vision as Assistant Director of Philanthropic Services. 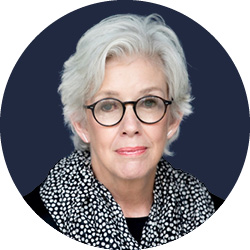 For eight years prior to joining PBS, Jennie worked for independent arts organizations including the Sundance Institute, the San Francisco Film Society, and the Kronos Quartet. In her position as membership manager at the California Film Institute she was responsible for optimizing the film festival experience for more than 3,000 members and for implementing a strategic plan to create revenue growth at the organization. Jennie has a B.A. in Screen Arts and Culture from the University of Michigan, Ann Arbor. She lives in Washington D.C., just close enough to visit her niece and nephew in Philadelphia. Steph Curry joined the PBS Foundation in 2017 as Donor Relations Manager, responsible for coordinating individual giving and major- and planned-gift activities. Prior to her arrival she served as branding specialist for an independent film company. From 2006 to 2013 she headed development programs for the Benedictine Sisters of Virginia and the Catholic Diocese of Arlington. At the former she implemented donor-centric strategies to increase individual giving, planned giving, and major gifts. At the latter she re-launched the planned-giving program, increasing the number of bequests to parishes, schools, and the diocese as a whole. Steph began her career in 1991 at PBS member station WETA in Washington, D.C., working in its communications and major-gifts operations. In 1996, she moved to the development department at PBS to help with stations’ on-air fundraising efforts. 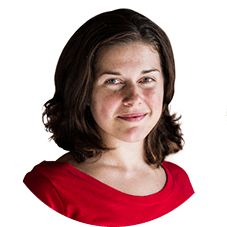 Steph attended the University of Virginia and lives in rural Virginia with her husband, two horses, and one sheltie. Janet joined the PBS Foundation in 2017. Her responsibilities as Senior Associate include assisting the executive director, managing the development and production of communications material for the Foundation, and providing operations support for the Foundation’s senior staff. Before coming to PBS, Janet spent two years at the Library of Congress, where she worked as a book conservator in the library’s Collections Conservation section. In this capacity she repaired collections materials dating from 1800 to the present. Janet holds a B.A in English from Occidental College in Los Angeles and studied Book Arts at the Corcoran College of Art + Design in Washington, D.C. She lives in the Mount Pleasant neighborhood of Northwest D.C., chosen for its L.A.-like vibe and proximity to both her CrossFit gym and the National Zoo. Emerald joined the PBS Foundation in 2018. She supports Tia Graham with planning and implementation of major giving initiatives for stations, among other responsibilities. Emerald comes to PBS from ResCare Workforce Services, where she was an Employment Services Specialist. Concurrently, she also worked as a Marketing Executive Assistant at Influence Entertainment. Earlier, Emerald spent several years at member station WHUT, working as an Individual Giving Manager. She also held fundraising and development roles at the American College of Cardiology and the Aurora Economic Development Council. A graduate of Howard University, Emerald holds a B.A. in Communications with a minor in Sports Administration. In her free time, she enjoys playing the guitar and also likes to cook large meals for family and friends. Read our latest news publication and sign up below to receive quarterly updates.